We know you love your FUNBOX if you need refills! Please let us know if you don’t see what you need below. We’re always here to help. Our ADULT ADD-ON KIT can be paired with our full SODABAR or HOTBAR to make it feel like the holidays! Our Thanksgiving ADD-ON KIT can be paired with our full SODABAR or HOTBAR to perfectly compliment your feasting! Our Winter ADD-ON KIT can be paired with our full SODABAR or HOTBAR to make it feel like the best time of the year! RIM MIX TINS go fast at a good party. This refill pack contains 10 tins. For larger events, you might need more tins than what’s included in your SPICEBAR, so adding these on allows you to have enough for your guest count. If you need help calculating how many tins you should buy, we’re happy to help. Email us: funbox@cravenandco.com. Refills are also great if you use your SPICEBAR for more than one party, but just need a few more tins. Do you love our FINISHING SPRAYS? We do too! Now you can order more to add to your SPICEBAR or just to up your cocktail game in general. The FINISHING SPRAY kit includes five non-alcoholic sprays. Our WISH CIRCLE refills can be added onto your WISH BANNER if you are using it as a sign-in “book” for guests at a large event, or if you are using it for family during the holidays and want it to make it from Thanksgiving to Christmas or Hanukah. We love it when people need more TINY NOTES LETTERHEAD. It means beautiful handwritten notes are overflowing. 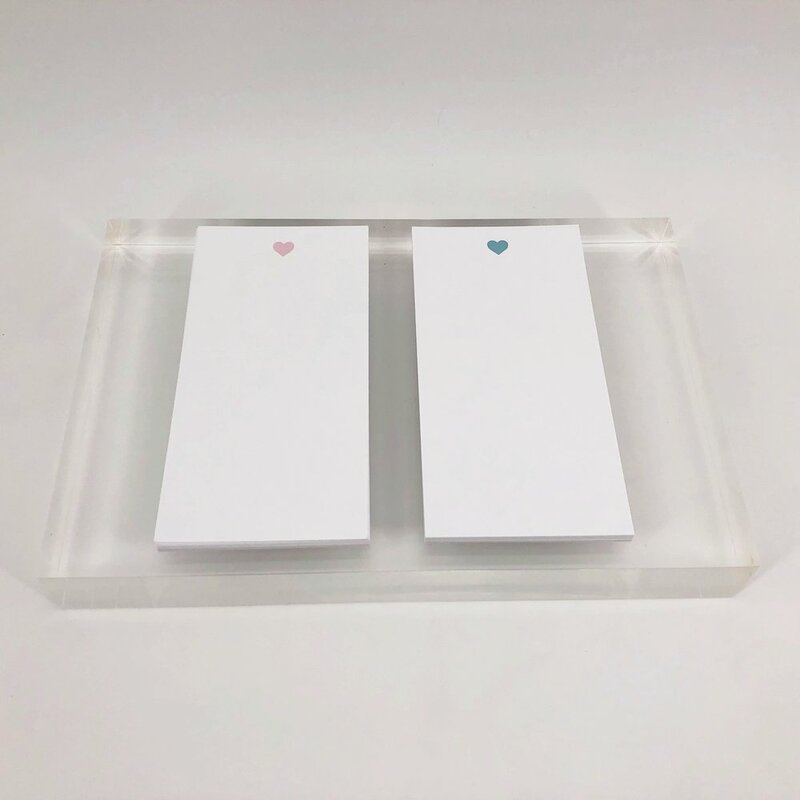 Each pack contains 50 sheets of either blush or blue heart letterhead.